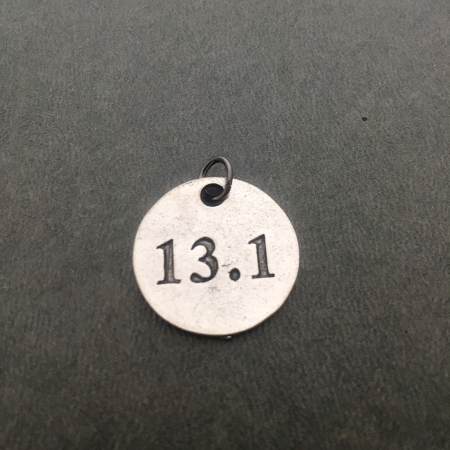 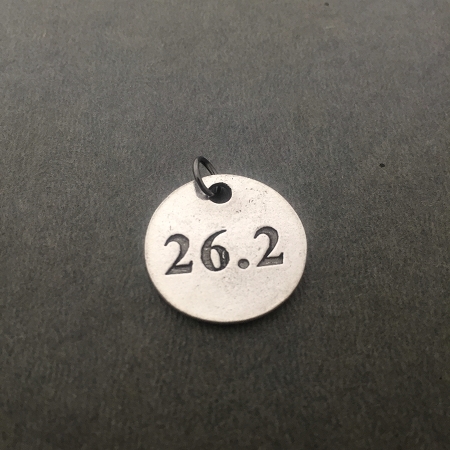 The Run Home's DISTANCE Round Pewter Pendant is available only at The Run Home! 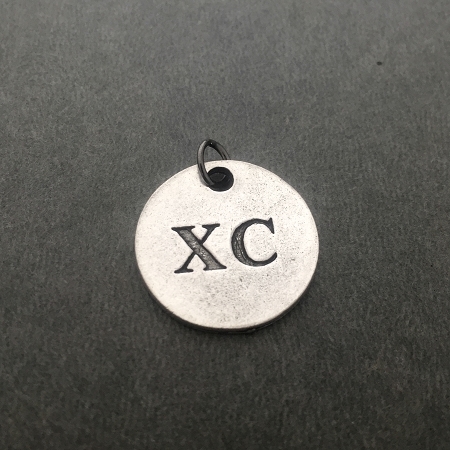 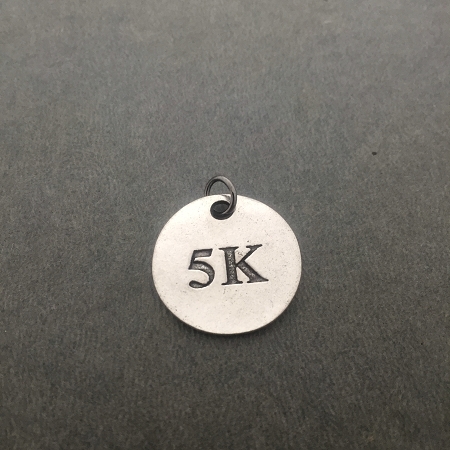 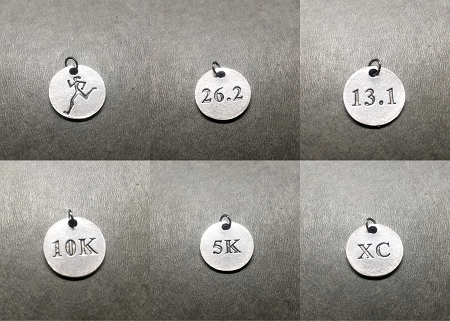 Choose 5K, 10K, 13.1, 26.2, XC or Round Runner Girl Charm. 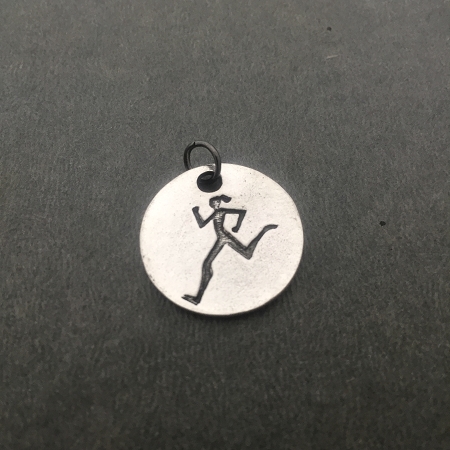 Pewter Round Charm measures 3/4 inch Round and includes a gunmetal jump ring.